The Kunama is a minority ethnic-group living in the western part of Eritrea.This page exposes the unjust and discriminatory activities of the Eritrean government. It also participates in the political dialogues in Eritrea. It had also tried to disunite the DMLEK’s bed rock, the unity of the Eritrean Kunama. It’s disuniting projects were crashed to the best by the strong blows of the organization. The turn out and determination of DMLEK and friends of Kunama at all has shaken the breath of the hidden members of the regime in Europe and elsewhere. Shabia brought disunity among the Kunama people, in Eritrea. 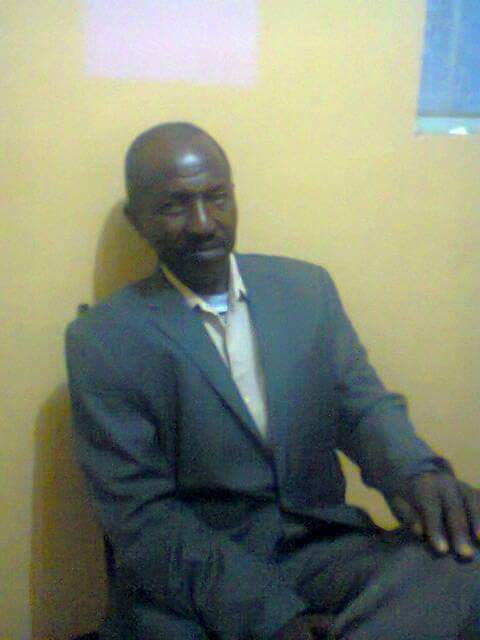 Hating such oppression, many Kunama decided, to flee into Tigray-Ethiopia, but once there, the oppression that the second Shabia, Mr. Kornelios Adolay Osman, the charman of DMLEK, (Democratic Liberation Movement of the Eritrean Kunama), used to release upon his own fellow-ethnic-members, has no measures. Spreading the very false news that, some of them had been sent by Shabia, he imprisoned more than 100 and killed more than 20 individuals, but there were also many unknown ones. Sawing disunity, he was leading arrogantly, but once the people realised his methods, they eventually, abandoned the organisation. Not only that, but even his combatants, observig his twisted behaviour, they threw him their arms, applied for refugee-status and today, they found themseves, in foreign countries. To their Kunama friends, who do not follow him, he conjured out the appellation of “Shabia members“ and is holding them into his “target“. It is also said that, in 1991, when the referendum, for the Eritrean independence was conducted, in Addis-Abeba, Kornelios Adolay Osman, was the Shabia chairman; this is confirmed by Isayas Afwerki's statement, in front of the public, in Asmara, when he lauded Kornelios, by saying: “if I had 2, (two), or 3, (three), Kunama, like Kornelios, would suffice for me“. There are witnesses who were present at that moment. Though, he himself used to be a Shabia operative, he is now seeing his fellow-Kunama, Shabia members. as “culprits“. He is now falsely believing to be conducting the liberation movement, he killed his fellow-Kunama, and saying he is representing the Kunama people, but is driving the people, looking for his own benefits, and staying in the Ethiopian capital Addis-Abeba, he is only declaring to be fighting against the Shabia, thus cheating the Kunama people and the Ethiopian people, but there is no one, who knows better than us Kunama. We know that he has no acceptance of the Kunama people. He is one, fighting only for his own benefits. Since he killed the following individuals he is sewnhatred among the people. 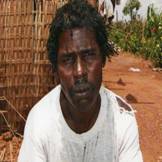 1.- Adaggo Auka The late Mr. Adaggo Awka Gagasi,killed by DMLEK on 08/19/2002 per torturing. 2.- Yakob Ashora The late Mr. Yakob Ashora, killed on Monday, September 3, 2002 per torturing. 3.- Hussen Yousuf. The late Mr. and surveyor Hussen Yusuf, whom the chairman had accused of being the “ring-leader” and therefore had killed him per hanging, on Sunday, February 2, 2003. Blindfolded Kunama are those who are still believing and following blindfolded Kornelios Adolay Osman Aggar. Send mail to baden-kunama.com with questions or comments about this web site.